Over the past decade, boutique breweries have started popping up across Israel, establishing a strong local fan-base. Even though in Tel Aviv you can get many kinds of imported beer, you would be surprised at how good some of the local makes are. Give these a try–you won’t be disappointed! The most popular and famous Israeli beer is Goldstar, which dominates the Israeli beer market with 33% of beer consumers. This Israeli lager contains 4.9% alcohol, and can be found by the draft in almost any bar or restaurant in Israel, usually at a decent price. Goldstar has also issued a special unfiltered edition, whereby the whole beer brewing process is the same as the standard Goldstar lager except for the last filtering step, causing the ingredients to preserve their natural flavours. In 2017, Goldstar issued another kind of beer called a ‘slowbrew’, which contains 10% alcohol, and has richer and stronger flavours. More than just a brewery, Jem’s beer factory has six locations across the country, offering a variety of beers, tasting options, and some food to accompany the drinks. With seven different types of beer–like IPA, dark and light lagers, stout, amber, and more—Jem’s is a local favourite. A unique version available in select venues is Jem’s’ strong 8.8% alcohol beer. Despite being relatively heavy on the alcohol, this beer is surprisingly light and sweetish, and is bound to make your evening better. 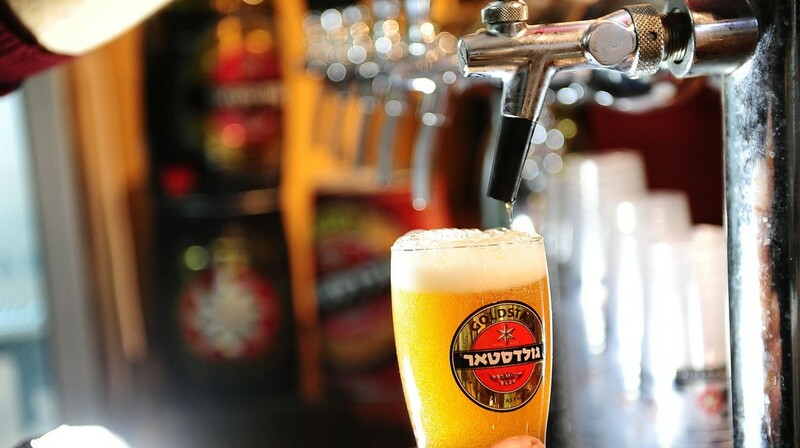 Hebrew for eagle, Nesher was the first Israeli brewery, and is still popular today. First made back in 1935 by “Palestine Brewery Ltd”, today it is brewed by Tempo Beer Industries in Netanya, which also makes Goldstar and Maccabee beers. Tha brand’s most popular drink today is the brewery’s malt non-alcohol beer, which resembles root beer in flavour. 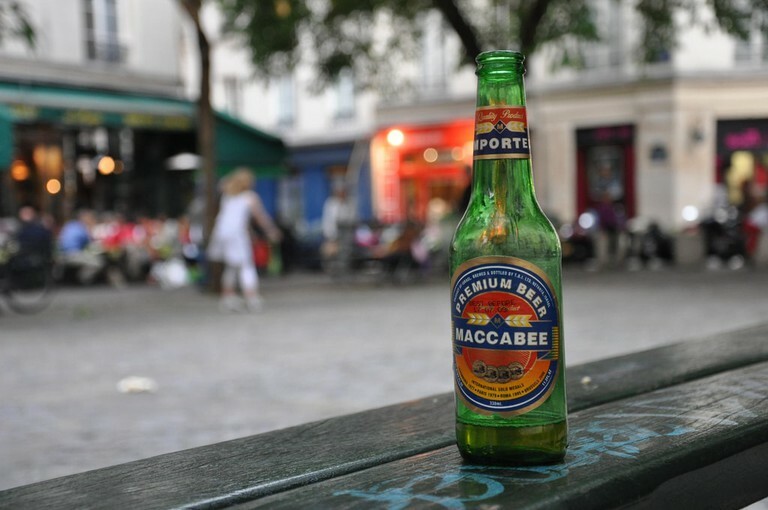 Maccabee is a popular Israeli lager that’s favoured by approximately 11% of Israeli beer consumers. Originally designed for export, Maccabee is a premium lager that contains 100% European malt. It can be found in many establishments across the country in either a tin, a bottle, or draft. The Negev brewery is located in the southern Israeli desert, the Negev. One of their popular brews is Oasis, basically a light lager that got its name because of its refreshing nature. Another famous creation is their passionfruit beer, which (along with malt) creates a wonderfully fresh and sweet aroma. For those visiting the Israel Negev, it is recommended to pop into the brewery for a tour and some tastings–a desert oasis indeed. One of the favourite boutique breweries in Israel is Malka (Hebrew for queen). The Malka brewery makes several types of beer, including Wheat, IPA, Light, Dark, and Red, all usually sold in bottles. Although all of the Malka beers are loved, the red one deserves a special mention. A classic English Pale Ale with 4.7% alcohol, the Red Malka is warm, deep, and full of flavour. Another Israeli boutique brewery worth checking out is Alexander, famous for its unique seasonal editions. In addition to its permanent beer collection–including IPA, Amber, Blonde, and Black–Alexander brewery also makes a strong ‘Blazer’ beer (named after an Israeli men’s magazine) and the ‘Israeli Wheat’, through which the creators tried to express their love for the Israeli spring. 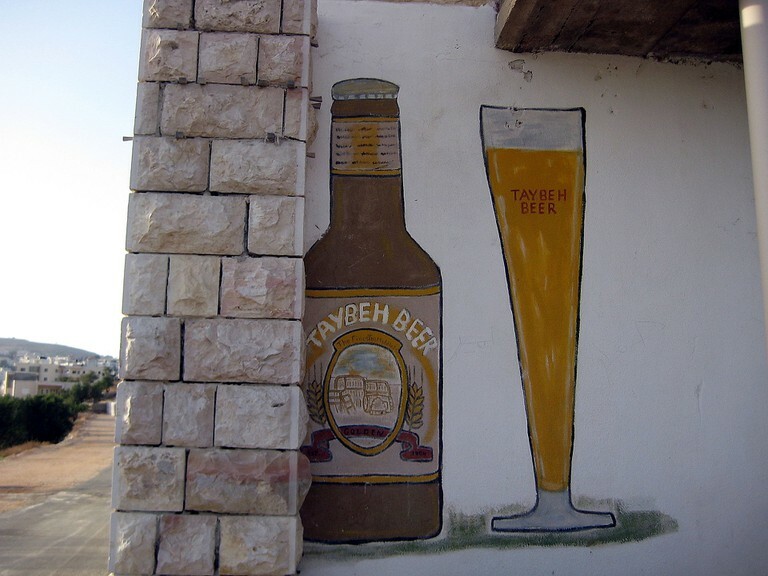 Taibeh is a beer created at a Palestinian brewery in the village of Taibeh, outside Ramallah. The beer is distributed across the Palestinian territories, Israel, and internationally. Taibeh beer is quite popular among Tel Aviv hipsters and can be found in various cafes and bars in central Tel Aviv, as well as in several Palestinian and Arab villages. This brand is made at a brewery located in the Golan Heights, which produces small quantities of artisan beer made with top-quality ingredients. Bazelet is the only beer in Israel to contain fountain water. With four different types of beer, Bazelet is the beer to try on vacation to truly appreciate the fine resources of nature. ‘Ronen’ is a collection of beers made in the Srigim brewery in the Judea region. The beers made in this brewery are given funky names. Their 6.5% wheat beer was named ‘The Ugly Beer’ due to the noticeable contradiction between its bitter flavour and fruity aroma. For something a little different, opt for the ‘The Evil Dark’, which gained its name for its unique combination of roasted coffee, chocolate, and a slight hint of smoke.